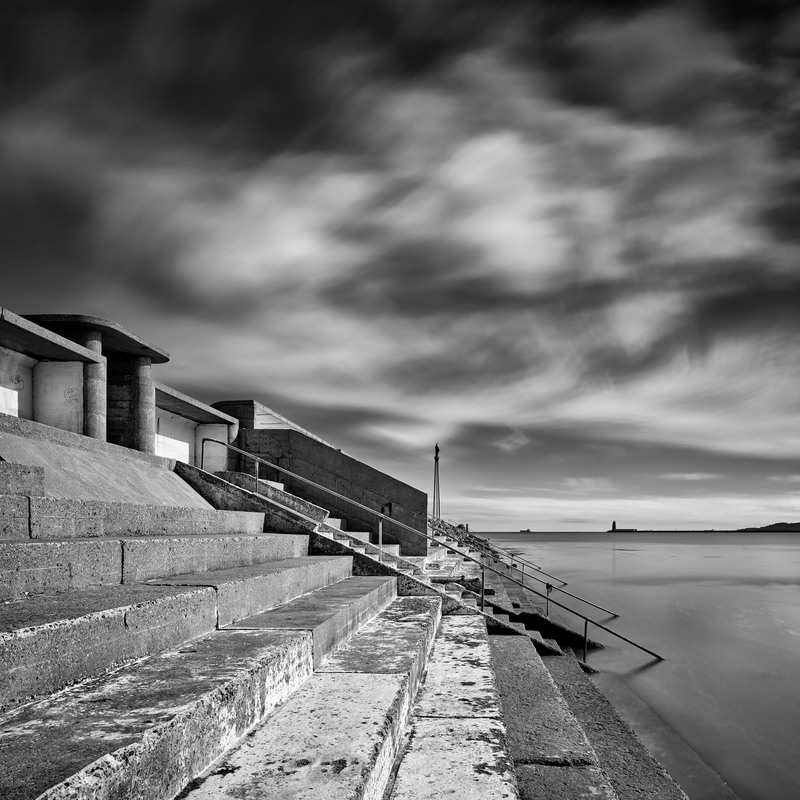 A black and white Dublin seascape photo of the Bull Wall bathing shelter. Captured on a still Autumn sunny day. The exposure time was 2 minutes and the image has wonderful detail thanks to my Phase One 100 megapixel camera. See more of my Dublin images here.